In light of Paula's post about buying her first dress, I composed some thoughts about shopping for those of you who are venturing out for the first time. When I try something on in the store en femme, I always ask a salesperson where the dressing room is located, even if I know where it is. I always ask in order to protect myself in case someone complains about a male in the women's dressing room. If that ever happens, I can respond that the store gave me permission. FYI, I have never run into this problem, but I always ask anyway. Here are some of the stores where I shopped recently and used the dressing room (if any) without an issue (an asterisk indicates that I have done so en femme and en homme, while no asterisk indicates that I have only done so en femme) : Claire's*, DressBarn*, Fashion to Figure, JCPenney*, LOFT, M·A·C*, Macy's*, Nordstrom, Payless*, Sears*, Sephora*, Talbots, The Limited, Victoria's Secret*. FYI, I shop in Connecticut; your mileage may vary depending on where you shop. Actors femulating in the 2014 French film Les nuits d'été. A few years ago I was shopping with a female friend at a Matalan store, I had a dress I wanted to try on and my friend a few items, there was a long queue for the ladies changing room but no one in the men's when my friend asked why we couldn't use the men's changing room the assistant was horrified, and wouldn't let us, "afterall that could lead to men using the ladies changing rooms!" Great advice Stana, We have come a long way and we need to get the message out there to those who are afraid to shop that there is NOTHING to be concerned or afraid about. All of these stores are a good place to start. The two most Super Duper friendly trans stores that I send my most nervous friends too is Nordstroms and MAC. Both of these establishments have specific transgender policy and will embrace you business and make you feel good about yourself whether en homme or en femme. Dress Barn also has a favorable trans policy and even allowed us girls to have parties in their stores. I love Dress Barn. As I was purchasing my first nice dress, I was in male mode. I asked if I could try some on and have a changing room. The manager was really helpful and I'd assumed as a size 16 I'd need the plus size. She sized me with a Misses 16 instead, which fit much better. Nothing makes me feel really womanly than a nice dress, hose, and heels. I had my first "mini-makeover" at the MAC counter in the Detroit Metro airport (DTW) during a long layover. I have been back many times (I travel a lot for business) and have had nothing but stellar service. Directions: It is in the McNamara main terminal (Delta's A-gates) in the center area where the fountain and tram station are and across the aisle from where the escalators come up from the under-runway connector to the B- and C- gates. It is across from Brookstone's, in a storefront with Clinique, Aveda and other fashion counters. Thank you for the Motor City advice, Lori! Thank you so much for the shopping advice. I'm really just beginning, so I've only shopped for myself en homme. But about a week ago my girlfriend wanted to go shoe shopping, and I went along en femme. I did speak with the salesperson a bit as we shopped, and it was actually only my second trip out in public so it was quite a thrill! I've followed you here for some time, and I get a lot of hope from what you've posted here that one day I might be comfortable and confident enough to be out all the time en femme. 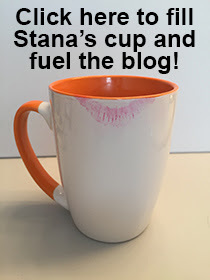 Stana, you give excellent advice. My best purchases are en femme. I have tried clothes on at Kohls, TJMaxx, SteinMart, Target, Sears, JC Penney, Macys, and even Walmart and Goodwill, among others, with no negative consequences. I am in Texas. I don't always ask for directions, to get implicit OK, but that's because it isn't always convenient to hunt someone down. It is sound advice, however, and I am scrupulous about using the fitting rooms appropriately so that we girls don't get a bad name. I forgot to include Kohl's on my list! I hope you bought that blue blouse, it's gorgeous on you. Thank you for the kind words --- I did buy it! Oh yes Stana, I meant to compliment you on that blue blouse too. You have some serious feminine curves going on - WHEW!!! Your hourglass shape is really impressive! I've tried clothes on as Amy at Lane Bryant and Target, and had no problems at either one. In fact, the first item I tried on at Lane Bryant was a plunge bra I needed for one of my low-cut maxi dresses. The sales associate even recommended some extenders, which worked great! Lane Bryant is another store I forgot to include in my list.